Rehman has the most cash…in a big way right now. 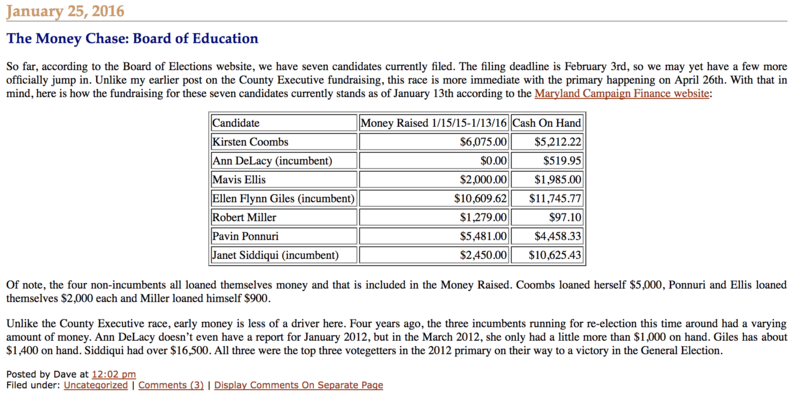 Miller spent more money than he raised in this latest filing…that trend can not continue for him. Pandey and Taj have not been in this race for very long…so they both can (and should) improve on future reports. The money burn rate for Wu is a bit high compared to the amount raised. This is something to keep an eye one. As a reminder…Miller received the all important HCEA endorsement recently….and that is big for him! Appreciate all your work; must have been a late night. However, you imply in your analysis that total money equates to support. Take Saifur (Saif) Rehman, he only received 3 contributions totaling $221.80. Most of the money is in the form of loans totaling $28,000 from Saifur Rehman, himself. Thanks for the comment. If you read my comments in the post I did not imply that money had anything to do with support. My post was about summary data and how much money a campaign has to spend or has spent thus far…nothing else. If others imply anything about the data…that is on them…I am just trying to report on data.